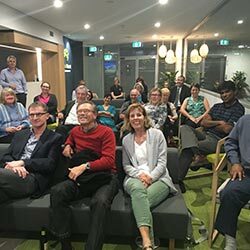 Central Coast Medical Meetings is a joint initiative between Dr Denis Crimmins of Central Coast Neurosciences, which hosts the meetings in the Elements Building (at 200 Central Coast Highway, Erina) and HCP Educate which organizes the events. 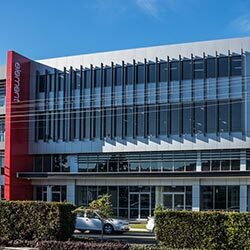 Dr Crimmins is passionate about communicating developments in medical research and practice, and about the local Central Coast community of medical professionals. HCP Educate assists GPs and practice staff with regard to their continuing professional development requirements. They typically start at 6pm. The idea is to allow participants to meet each other and the presenters in an informal setting (perhaps with a glass of wine or beer) and learn about recent developments in diagnosis and treatment. We offer refreshments, providing attendees with a light dinner if they so choose. We keep the meetings small to encourage participants to discuss findings with each other and the presenting specialists, so if you find a meeting of interest, be sure to register early to secure your spot. Register your interest and we’ll email you when we’re organizing an event so you can secure your place. These meetings are about you, so please let us know the subject areas you’d like to see covered in future meetings.